​3M over spectacles are designed to protect your eyes at all times even going over the top of glass. 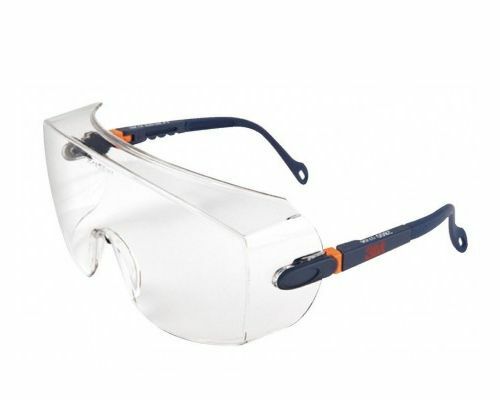 They offer an excellent coverage and field of vision, combined with a high level of protection against impacts. Adjustable temple lengths (four positions) for optimal comfort and fit. Inclinable lens for easy adjustment and maximum comfort. Soft low profile temples for comfort and minimum interaction with prescription spectacles.